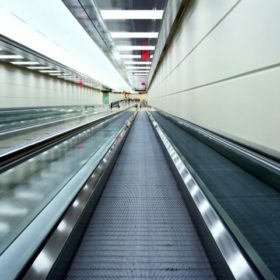 Our horizontal moving walkways are ideal for overcoming long distances and for meeting public transportation requirements at airports, exhibition centres, and stations. Looking for the best solution for your facility? Looking for a horizontal moving walkways for an airport? Want to discuss your particular requirements? Contact us: our team will work closely with you to find the most effective horizontal moving walkways’ solutions to smoothly manage the flow of people in your facility.